Common chives are a hardy perennial that are easy to grow. Direct sow seeds in spring 6 mm (1/4 in) deep. Chives need temperatures of 15° - 20°C (60° - 70°F) to germinate. In addition to enjoying the leaves, the flowers may be used whole or separated as a garnish. 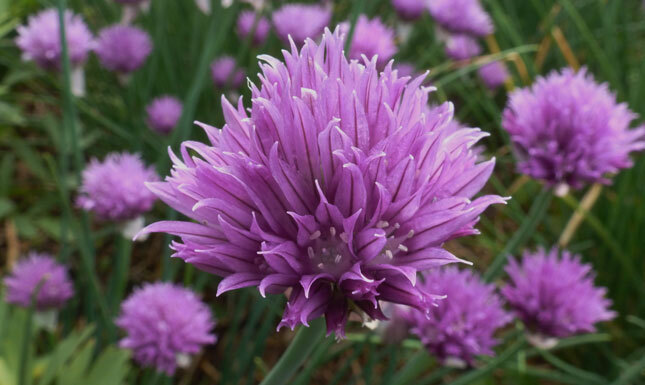 Chives can be cut back, leaving 5 cm (2 in) at the base and its leaves will grow back. Leaves can be dry-frozen without detracting much from taste.